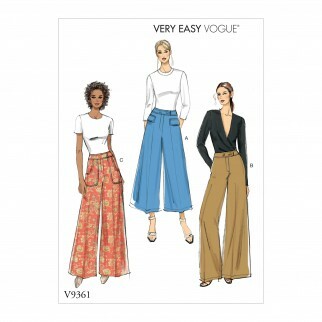 Semi fitted pants have fly front, flared leg and waistband, pocket and length variations. A, B: Button waistband. B: Side seam pockets. C: Hook and bar waistband closure, front yoke pockets. 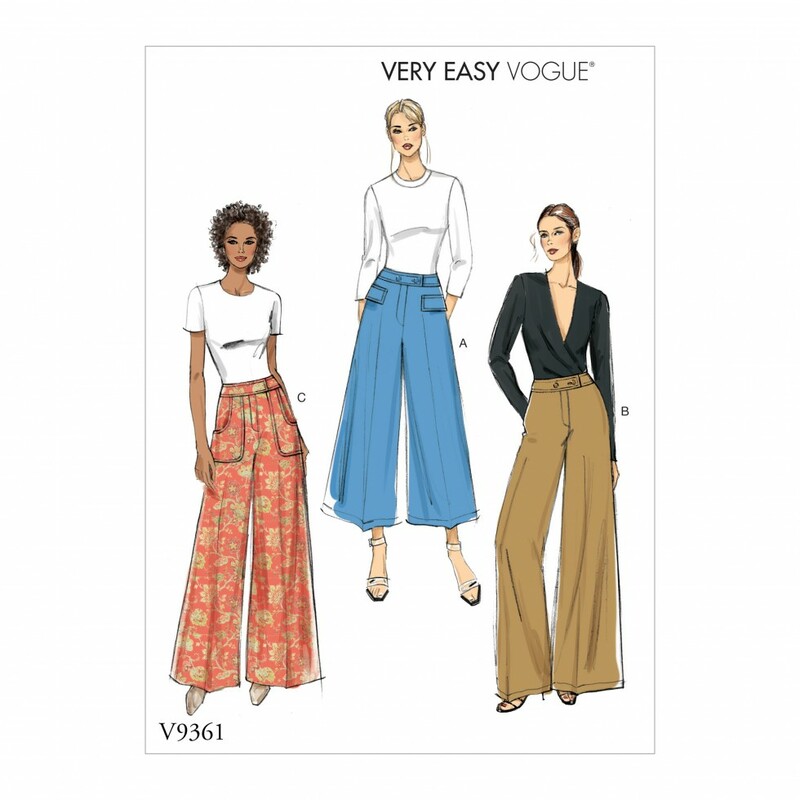 Fabric suggestions include: Gabardine, Crepe, Denim.